So you have conducted your research and have learned about the numerous benefits of fax-to-email services and are now rearing to implement it in your business’ communication processes. But, just like any smart project manager or admin manager you want to be proactive and understand exactly how things work so that you are not overcharged for things you could be paying more reasonable prices for. Or, maybe, you are just a skeptic and are wondering what exactly the catch is. There is no such thing as a free lunch after all. Well wonder no more. Our aim at FaxFX is to foster good and honest partnerships with our stakeholders by not hiding important information from you. 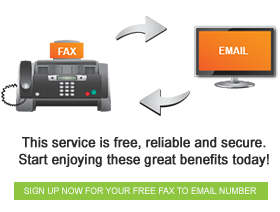 Receiving eFaxes with your FaxFX eFax number is absolutely free of charge. There are no hidden costs that you will incur. You are only charged when you send out faxes to other fax numbers, even so the prices are realistic. Browse our “Buy Fax credits” page to get more detailed information on how pricing works. We will not charge you for the initial set up of your fax to email account or for the fax number itself, nor will we charge you a monthly maintenance fee. What’s more is that we have a customer support team at hand waiting to assist you with whatever you may need assistance with in relation to our products. All you need is to keep your fax-to-email account active by receiving at least one fax per month.